How do you establish yourself as an expert in your industry? Paul Van Hoy II of Fotoimpressions has been working since the age of sixteen to do just that. After receiving his MFA in Fine Arts Photography from Rochester Institute of Technology and winning Microsoft’s “Photographer of the Year” award in 2008, he has striven to establish himself as a skilled and knowledgeable photographer in the wedding industry. Start a Website or Blog – Van Hoy is the co-founder of WPW (WeddingPhotographyWorkshop.com) which is a free, online, Internet sharing and resource for aspiring and established wedding photographers. The site offers a number of articles as well as educational sessions to help fellow photographers. 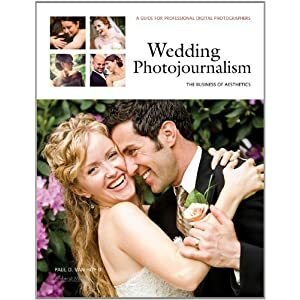 Showcase Your Expertise- Published in 2011, Wedding Photojournalism: The Business of Aesthetics focuses on how to stay competitive and continue winning new assignments, despite challenges. Van Hoy advises fellow photographers on a wide range of business operations from improving marketing to converting client contacts. Build Relationships – Lowepro, “The Trusted Original” camera bag producer, showcases Van Hoy on their website as a feature photographer. Building relationships helps increase credibility for your business.